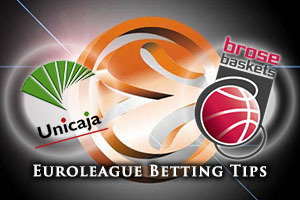 The final game of Group in week 1 of the 2015/16 Euroleague takes place in Spain where Unicaja Malaga welcomes German champions, Brose Baskets Bamberg. The teams have clashed 6 times in the past with the Spanish side leading 4-2, but there is a history of close games between the two teams. It is also worth noting that 5 of the games have been won by the away side. Unicaja will be hoping that their experience makes all the difference in this game with Fran Vasquez likely to be a key player. Vasquez is the leading player in Euroleague shots blocked and he’ll be looking to add to his run of blocking at least 1 shot in his past 7 games. Jamar Smith is also on a run of firm and he has notched double figures in 7 of his last 8 Euroleague games. Add in the fact that Richard Hendrix has achieved a performance index rating of at least 10 in his last 6 Euroleague outings and you have a team that should be pretty confident on the court on Thursday night. Given it is the opening week of a new season it is likely that there will be plenty of players making their Euroleague debut this week but Brose Baskets could have 8 players lining up in the Euroleague for the first time. Bradley Wanamaker, Daniel Theis, Gabe Olaseni, Aleksej Nikolic, Malik Muller, Darius Miller, Patrick Heckman and Elias Harris are the players who will need to get some Euroleague experience and confidence under their belts very quickly. One player with some Euroleague experience is Janis Strelnieks who has a 100% record from 10 free throw attempts in the Euroleague. 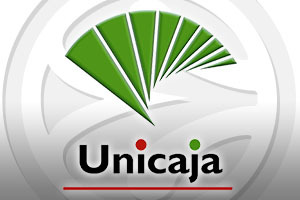 The Spanish side are favoured strongly for this game and you can take Unicaja Malaga at -9.5 at odds of 1.90 for the Thursday night game. If you want to take on the Over/Under market, go UNDER 150.0 at odds of 1.90 as this game has the hallmarks of being a tight and nervy affair. Bet Now!